Who doesn’t love to get a line wet once in a while? The region has long been a magnet for water lovers, boaters and anglers alike. 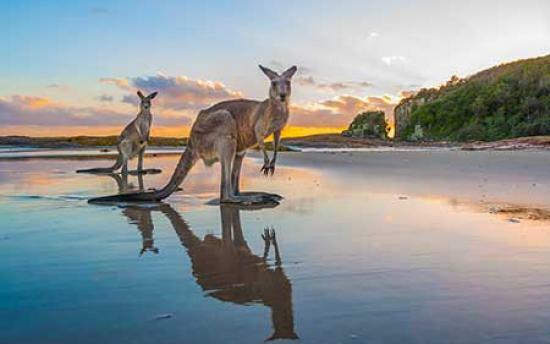 This marine wonderland reflects a beautiful and scenic landscape with two magnificent river systems, the Hastings and the Camden Haven with pristine coastal waters as well as many rocky headlands and off shore reefs. Offering many different and popular species such as bream, blackfish, tailor, whiting and flathead. There is also challenging and rewarding deep-sea fishing offshore. For recreational fishing, you'll need a license. These can be purchased at one of the many bait and tackle shops in the area. No matter what time of the year you visit, we guarantee the fish are biting. The area is blessed with a warm temperate climate with water and air temperatures generally mild during the winter months and very pleasant during summer. The prevailing winds in summer are north easterlies while in winter the westerly prevails. Understandably spring and summer are the main fishing seasons but beach and rock fishing are popular in autumn and winter when tailor, bream and mulloway are moving along the beaches. 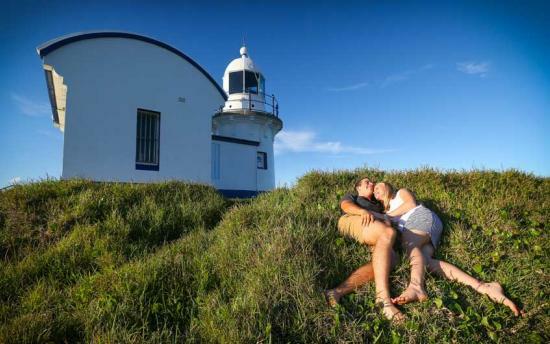 The bustling seaside city of Port Macquarie offers everything you need by way of accommodation and services for the perfect fishing holiday. 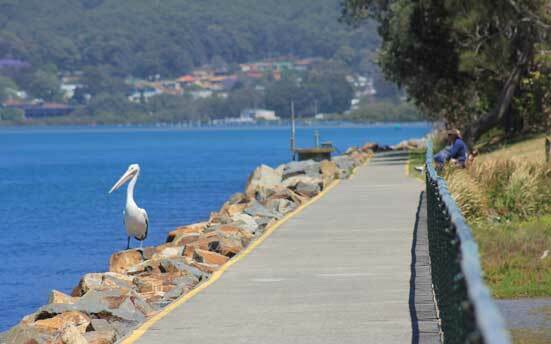 Or why not stay in the smaller townships of the Camden Haven such as Laurieton, Dunbogan, North Haven and Lake Cathie. Only 30 minutes from Port Macquarie they all have access to local fishing opportunities. And remember if you need to know anything about local conditions, the best fishing spots or what bait to use, just ask a friendly local at one of the fishing supply outlets in the area, or fishing at their favourite spot. Whether you cast off from a pier, throw a line off a boat or spend a relaxing day on the beach fishing, keen anglers will find everything an angler needs. 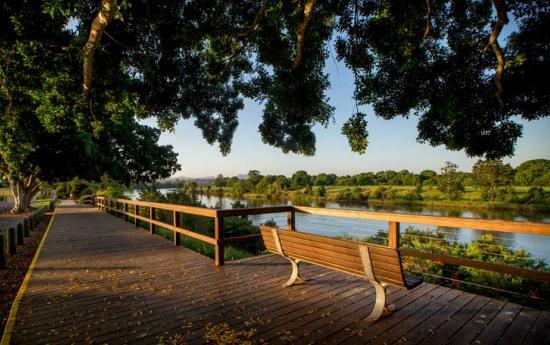 The Hastings River starts high on the Great Dividing Range and winds its way through the rich farmlands of the Hastings Valley to spill into the Pacific Ocean at Port Macquarie. It has many significant estuarine tributaries with the Maria River and Limeburners Creek being very popular for anglers with boats. Tidal influences reach 32 kilometres inland to just upstream of Wauchope and this does impact on fishing. For those who wish to fish the upper reaches there are good catches of freshwater bass. However you will find most anglers in the estuary and lower reaches of the Hastings River. 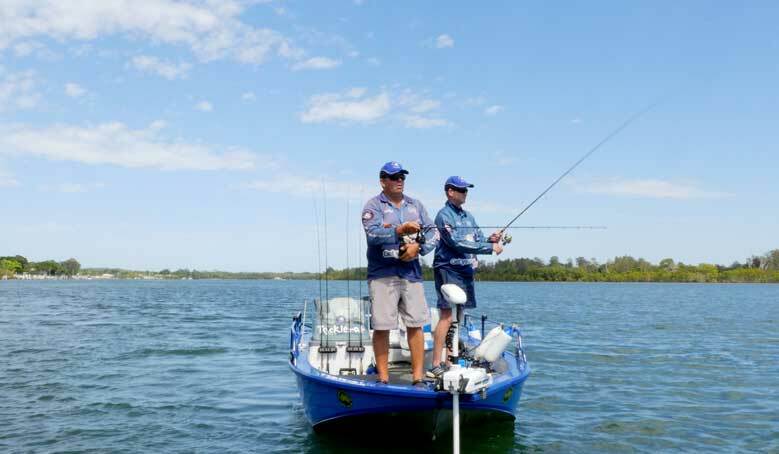 Some of the most popular fishing spots are almost right in the heart of Port Macquarie. The Southern Breakwall is good for tailor, bream, mulloway (jewfish) and luderick (blackfish). The Town Wharf and wharves near the Fish Co-Op at the end of Clarence Street are a good place to fish for families or those on holiday who just want to throw in a line. These spots provide a mixed catch and a chance to just relax. The Settlement Point Picnic area is also a favourite with families with good catches of whiting, bream and flathead. 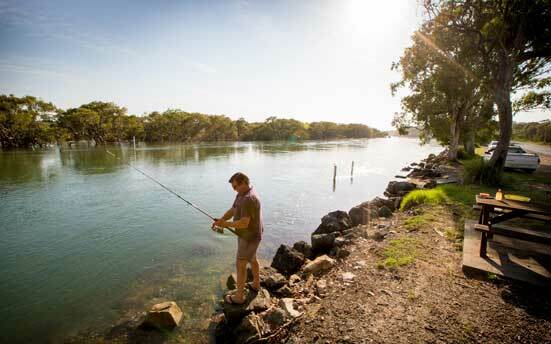 If you can get out on the water then one of the best places to fish is Limeburners Creek. Although there are speed and wash limits because of the oyster leases in the area, these farms also attract schools of bream and luderick. There are also flathead and blue swimmer crabs particularly in the shallower waters of Big Bay. Up river around Dennis Bridge is favoured for flathead and whiting while others try their hand in the Maria River, especially around the deeper waters of Boomerang Island. Ferry Reserve on Northshore Drive, North Shore. The Camden Haven River is a very popular and easily fished estuary. The area is best characterised by its relaxed feel, tranquil setting and the scenic backdrop of North Brother Mountain. The river starts high up on the Comboyne Plateau. By the time it reaches the picturesque and historic town of Kendall in the Camden Haven it seems to be a small local river. As it meanders to flow under the Pacific Highway it broadens dramatically and then finds its way through a very complex lakes system before flowing through Laurieton, Dunbogan and North Haven to the Pacific Ocean. Safe entrance to the sea via the Camden Haven Inlet and the bountiful fishing of the area is the reason why Laurieton is home to the local fishing fleet. The upper reaches of the river are known for mullet, bass and catfish but it is again the lower estuarine reaches which are more popular and known for good catches of bream, flathead and luderick. The breakwalls on both the North Haven side and Dunbogan sides of the estuary mouth are favoured locations with most having success in getting a mixed bag of fish. Picnic area in North Haven. Dunbogan, Bay Street and off The Boulevarde. Laurieton, Reid Street and Laurie Street. Henry Kendall Reserve, off Pacific Highway. Evans Street off Ocean Drive, Lake Cathie. Part of the magic of the Camden Haven River is the network of the river into the Watson Taylors Lake and Queens Lake. These are renowned for their prawn and blue swimmer crab. The best conditions for success are at night each month around the new moon. At this time the prawns and crabs head for the sea on the run out tide. The most popular methods of fishing are dip or scoop nets. Hand hauled nets can be used but these must be registered with NSW Fisheries. 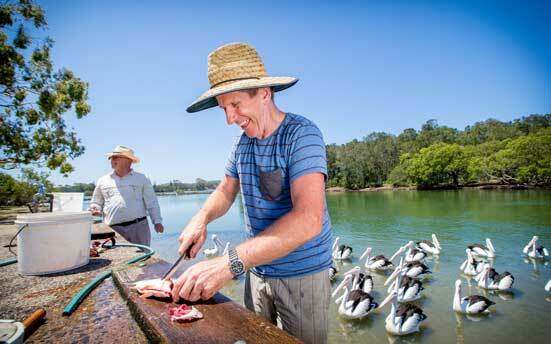 You will also find prawns at nearby Lake Cathie as well as some bream, luderick, flathead, mullet and garfish. Once at sea there are some excellent reef areas with plenty of snapper, pearl perch and kingfish. To the north the area off Point Plomer and Big Hill provides opportunities for lots of reef fish while to the south there is a large reef off Diamond Head. North of Port there is some good game fishing with marlin, mackerel, dolphin fish, tuna and wahoo. A number of charter operators work out of Port Macquarie. 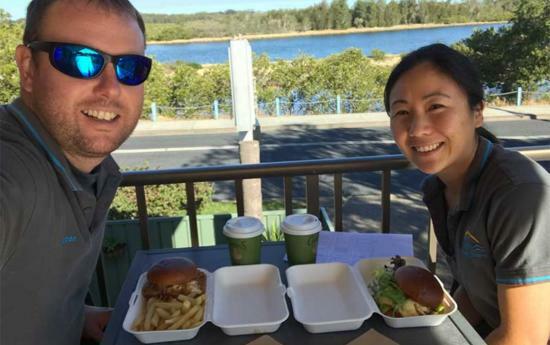 If trying the fishing on your own, then you need to be aware that Port Macquarie has a bar, which must be carefully navigated and can be dangerous at ebb tides if the wind is north-easterly. No matter where you are along the coastline you will always see someone beach or rock fishing. The North Shore is a wilderness area and a great place to get away from it all. Queens Head between Port Macquarie and Crescent Head is considered one of the best fishing areas on the coast for rock blackfish (black drummer) and luderick. 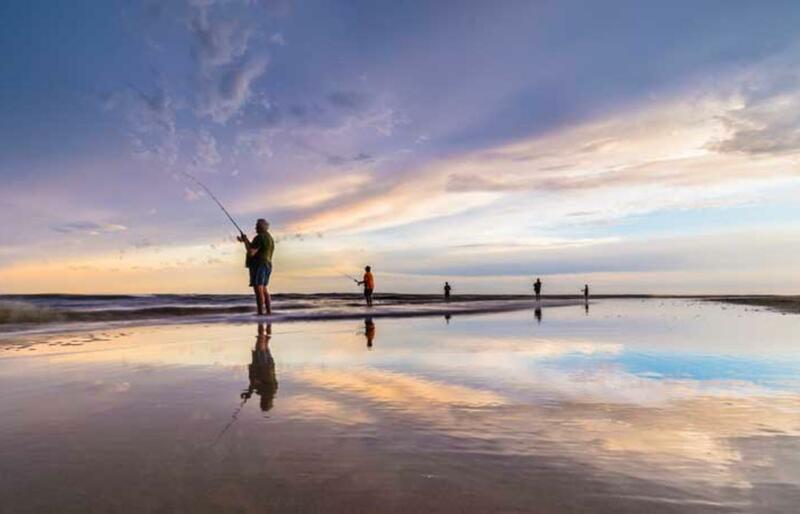 On the south side and closer to Port Macquarie, anglers should visit the beaches that run from Town Beach south to Lighthouse Beach for tailor, whiting and mulloway. 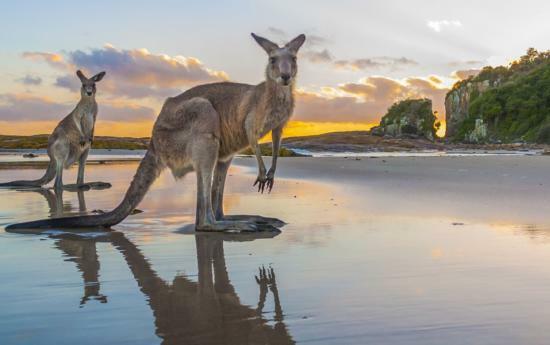 For those with four wheel drives and a beach permit, access is possible at selected points south from Lighthouse Beach to magnificent Rainbow Beach and Grants Beach. In the Camden Haven, Perpendicular Point is one of the best rock areas in NSW with high ledges and platforms over deep water. The high ledge is famous for its land based captures of long tail tuna, kingfish, tailor, mulloway and mackerel tuna. 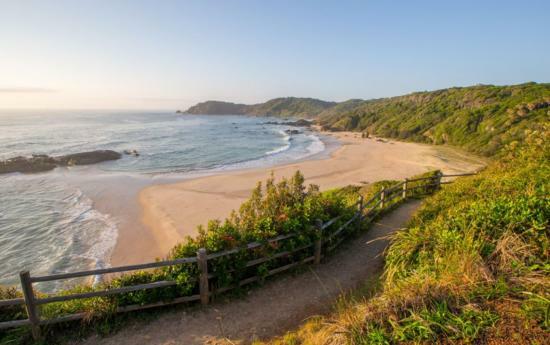 The coastline of Crowdy Bay National Park is also very popular. At Diamond Head you may get snapper, big drummer or bream.